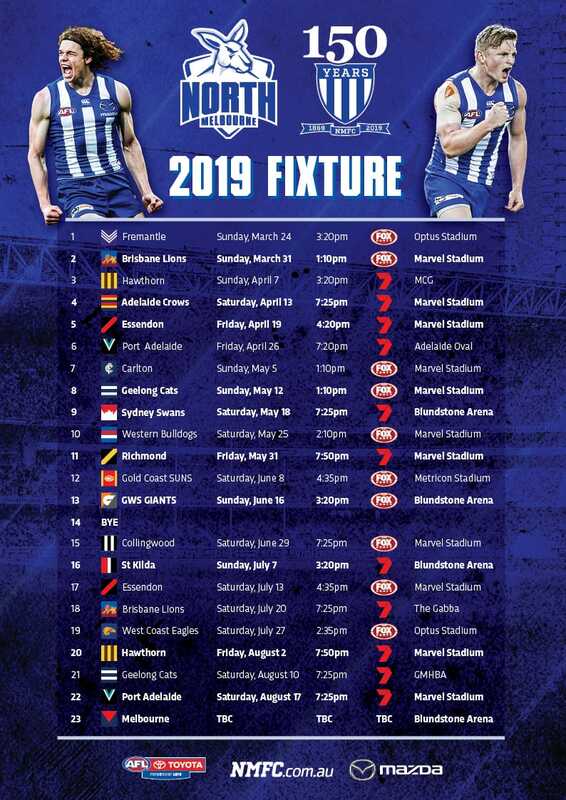 With North Melbourne recording its first win of the season on Saturday night, there were plenty of talking points for the media. The forward line was a key area of focus, after criticism in the opening weeks. Ben Brown responded in style, with four goals. For Brown, it was only a matter of time until things clicked. “For us it was about believing in our system. In the first three weeks we obviously found out about some areas we need to improve on and work hard at. “Pressure was a big one for us. We really stepped that up particularly in the second half, and that was really positive. The ability of the number 50's support crew had also been questioned in 2019, but the forwards showcased what they are about on Saturday night. “The tantalising talent that is Mason Wood made his return to the AFL scene on Saturday night, one week after calf awareness kept him to less than a half in the VFL. Injury is the story of Wood's career to date, but he and North Melbourne need each other. 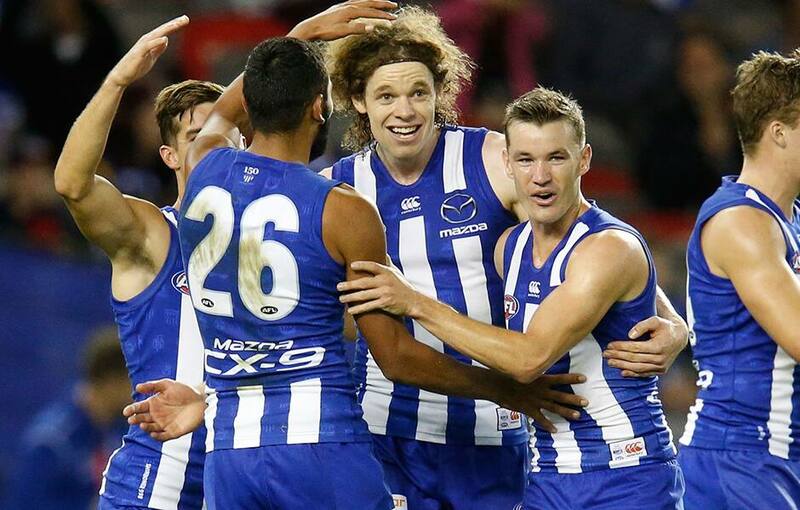 “Don't buy into the narrative that Jarrad Waite should still be on the Roos' list – it was time for them to move on and see what their younger crop could do. Ben Brown needs help, but he'll need that for six or seven years to come. Wood and Nick Larkey should be first in line to provide that support. “It's no coincidence Brown had his best game this season with the athletic Wood alongside him. Larkey might have to wait a bit longer, because the terrier-like trio of Kayne Turner, Cam Zurhaar and Tarryn Thomas worked a treat defensively, too. The forward-line led by Brown impressed their teammates as well. Jed Anderson’s return also garnered plenty of attention, with the tough midfielder bringing some much-needed aggression. “North Melbourne controlled the game from the start by strangling a Crows team intent on committing self-harm in terms of their ball movement. “The Kangas, led by Shaun Higgins and Anderson, were aggressive with their running and at the contest. Higgins is an elite player and Anderson is a card-carrying member of the UUA (United Underrated Association). Higgins has earned plenty of plaudits in recent years, and his superb start to the season didn’t go unnoticed. The man himself was relieved to have gotten a first win for the season, and was happy to have put a more consistent performance together. “We’ve been under the pump, and it’s been a tough start. We’ve felt that we have played some OK footy in the past two weeks, leading both games, so it was good to come out on top tonight. And Higgins’ focus has now moved to the Good Friday Kick for the Kids, which is shaping up as a blockbuster.